Corporate law and taxes are dull subjects, and that helps the bad guys get away with it. Most reporters and editors exhibit the MEGO response (my eyes glaze over) as soon as they enter the labyrinth of rules and regulations. As a result, they don't understand the tricks business owners use to avoid paying their fair share, and they have no idea of what needs to change. But change is desperately needed. You might not know that corporations get to choose how they are taxed. Traditional corporations follow Subchapter C of the IRS Tax Code, which requires them to file their own returns and pay corporate taxes. Another option is Subchapter S, which creates a business that doesn't file tax returns; it's called a "pass-through," because its earnings are passed directly to shareholders as income. Sole proprietorships and partnerships also function as pass-throughs. In 1986, Congress lowered the top personal income tax bracket from 50 percent to 28 percent, which means that in most states, pass-throughs offer business owners a significantly lower tax rate than corporate taxes. Between 1980 and 2011, the number of pass-through business tax returns increased from 10.9 million to about 30 million, according to The Tax Foundation. Meanwhile, the number of C corporations filing tax returns declined from 2.2 million to 1.6 million. Pass-through businesses accounted for 54 percent of U.S. business income in 2011, compared with 21 percent in 1980, according to a new analysis published by the National Bureau of Economic Research (NBER). The paper found that the average federal income tax rate on pass-through business income is 19 percent, which is much lower than the average tax rate on traditional corporations. The authors estimate that if pass-through activity had remained at its 1980 level, tax revenue from business income in 2011 would have been about $100 billion higher. The rise of pass-throughs accounts for much of the rise of income inequality over the last three decades, according to the NBER paper. 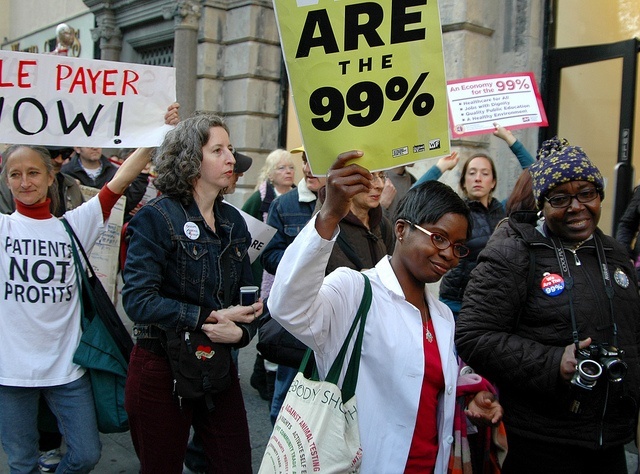 You might have heard that the wealthiest 1 percent of earners have been doing very well. In fact, they claimed 20 percent of all the household income reported on Form 1040 in 2013, up from just 10 percent in 1980. But you probably didn't know that 41 percent of that increase came in the form of higher pass-through business income. "Inequality is tearing us apart," says David Kay Johnston, who won a Pulitzer Prize for his reporting on tax policy for the New York Times. "And it is vastly larger than we appreciate, because most journalists — who are perfectly well intended, they don't mean to do anything bad — are innumerate. They don't understand numbers." Now you do. Brad Edmondson is an award-winning writer and presenter who explains social change and how it happens. www.bradedmondson.com.